In partnership with Blue Water Baltimore, ACCE removed 3/4 of an acre of asphalt to create a new green space in the rear of the school. 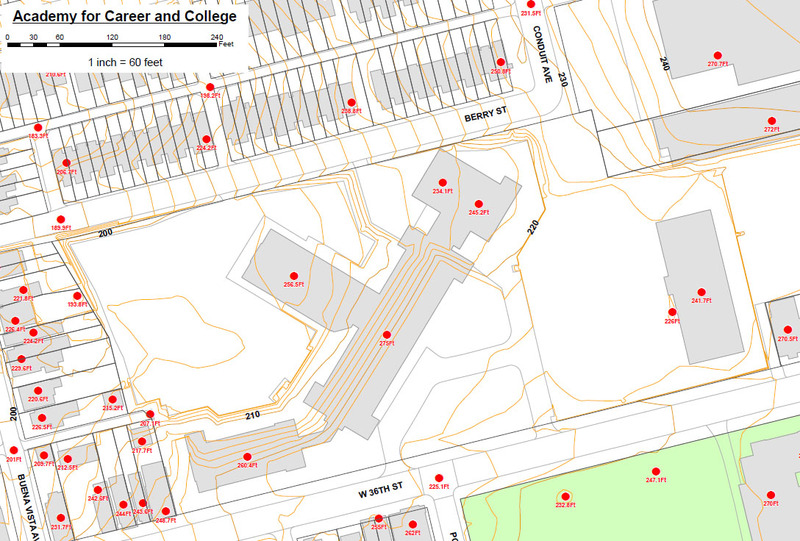 This is the base map showing the conditions of the school before the project. The entire rear of the school was covered with asphalt before 1970, preventing any rain falling on the school from infiltrating into the ground.